New Delhi : The Delhi Metro has replaced public buses as the go-to mode of transport for the common man in the city over the years and continues to expand its reach, having added nearly 100 km of network this year. 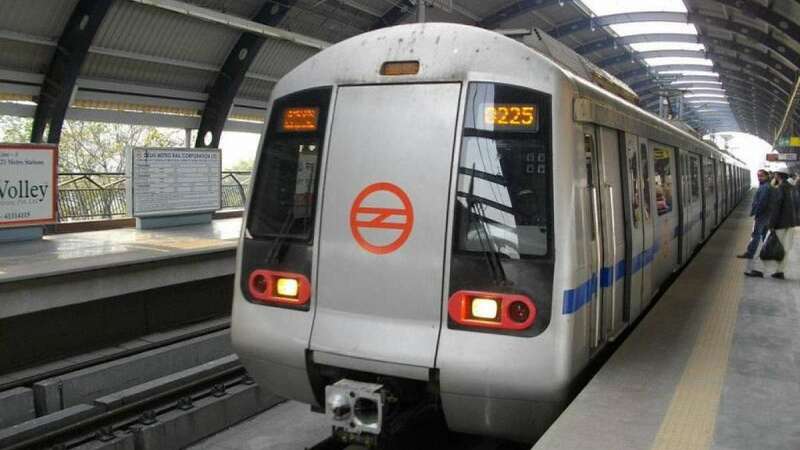 The Delhi Metro, which began its journey with a mere 8-km-long Red Line connecting Shahdra and Tis Hazari, will turn 16 on Christmas Day. It was on December 25, 2002, 16 years ago, when the Delhi Metro was inaugurated by Atal Bihari Vajpayee, the then Prime Minister, along with then Delhi Chief Minister Sheila Dikshit. The metro has gone strength to strength since then and will soon boast of being one of the largest metro networks in the world, after Shanghai and Beijing, and is expected to even overshadow the London Underground. During its construction in three phases, the metro has spread its network across 317 km of the city and its suburbs. By the time the Phase-III winds up next year, it will have expanded to 349 km, and with Phase-IV, which has just been given the green signal and is expected to be completed by 2022, the Delhi Metro will cross the 400 km mark. In words of the Delhi Metro Rail Corp, the current year was "historic" in terms of construction of several new stretches, totalling a length of a "record" 87 km. The expansion of the metro has not been a cakewalk along the years, with the transporter facing all kinds of roadblocks, from acquiring land-- as in the case of Shakurbasti and Trilok Puri-- to tunnelling around the Old Delhi area, known for its historical monuments. At present, it has eight color-coded lines: Red, Yellow, Blue, Violet, Orange, Green, Magenta and Pink, with the last two being the latest addition to the fleet. The phase-IV, still to go on floor, is no less ambitious and aims to touch some of the harder to reach outskirts of the city, like Bawana and Narela in northwest Delhi. With 231 stations over and below ground across the network, the Delhi Metro ferries approximately 26-27 lakh riders every day.